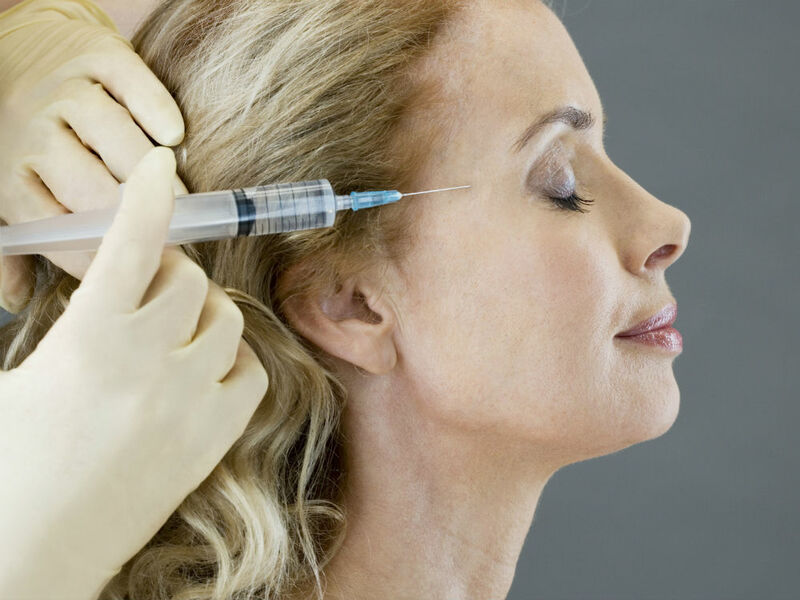 The line between Botox vs fillers can sometimes seem a bit blurred and, if you’re thinking about getting injectables, it’s probably all a bit confusing. But considering the popularity of Love Island and the fact that Superdrug is now offering in-store Botox and fillers, we’re talking about them more than ever before. So with this in mind, we sat down and spoke to two experts in the field to find out exactly how they differ, and the important questions to ask before considering treatment. Below Dr Tapan Patel, from the PHI Clinic, tells us everything you need to know about the top toxin. Botulinum toxin, is a natural, purified protein that is used to temporarily relax facial muscles that cause lines and wrinkles. It can also be used to treat medical conditions such as hyperhidrosis (the medical name for excessive sweating). Botox is the original and best-known brand name and the most tested product on the market. It is the result of many decades of studies and has been used extensively in medicine. It is the safest product, and it is certified in the medical and cosmetic field. While there is no real downtime associated with this treatment, it is important to note that you may encounter some slight bruising and swelling directly after treatment, due to the needle. This can easily be masked by make-up. This treatment can be used on a wide range of patients, and is primarily used for skin rejuvenation and the reduction of fine lines and wrinkles. Botulinum toxin is injected into muscles and used to improve the look of moderate to severe frown lines between the eyebrows (glabellar lines) for a short period of time. It can also be injected into the area around the side of the eyes to improve the look of moderate to severe crow’s feet lines. Treatment is not advisable for those who are pregnant or breastfeeding. While there are no clinical studies to show that the injection is harmful to the baby or mother, medical professionals advise against having treatment under these circumstances. The treatment is used to soften the lines caused by facial expression and can be adjusted to ensure natural results. The duration of results is variable in between individuals but ranges from three to six months. Typically, patients will come into the clinic and point to a specific line that they don’t like. Good practitioners shouldn’t just look at treating this specific line, but will look beyond the line at how the face looks as a whole (as treating an individual line might make the face look unnatural). Sometimes patients come in and say their colleagues and friends keep telling them that they look tired or grumpy when this isn’t the case. In these cases, it’s usually not a single line that is creating this impression, but multiple factors, and the practitioner should talk through treatment options with the patient. What should you ask your consultant before considering a treatment? – What qualifications do you have? – Which brands of products do you use and why? – Has the product been extensively tested and researched? – How satisfied are your patients with the results? Do you have any examples of before and after pictures you could show me? – What are the potential side effects? – What after-care will I be given? What are fillers and how do they work? As we age, the natural collagen and elastin in the skin lessens, as cells lose their ability to produce more of their youthful component. The skin becomes dryer, thinner and less able to fix itself. When we’re born, we have plentiful amounts of hyaluronic acid (HA) in our body, but as we get older this store of HA diminishes, leaving the skin less well supported, and so lines and wrinkles develop. By lifting and smoothing targeted folds and wrinkles by adding subtle volume, dermal fillers can make a difference to a person’s appearance, giving them a fresher look. The treatment of wrinkles with dermal fillers will usually involve injecting this naturally occurring product (HA) through a tiny needle. The discomfort is minimal as the treatment does not take long to perform. The aesthetic outcomes of treatments with dermal filler are seen immediately after the treatment. Treating wrinkles with dermal filler is fast, leaving no scars. The Juvéderm range of fillers contains a variety of products, which can be used to treat different areas, from fine lines on more delicate parts of the face to deep skin depressions. You can also treat your lips with lip fillers to add extra volume. Today’s sophisticated fillers are made of HA, a substance that’s found naturally in the body, making it much safer than previous procedures. The procedure takes around 30-45 minutes and patients can expect to notice the effects for as long as 18 months after treatment. There is even precedence of results lasting up to 24 months in some cases, however, treatment with fillers is completely reversible. With any injectable treatment, there can be some slight bruising or swelling that accompanies it. This should not persist much longer than a day, and is easily coverable with make-up. Facial fillers can be used on a wide range of patients, and are primarily used for skin rejuvenation and the reduction of lines and wrinkles. Other suitable candidates are those seeking to add structure and volume to the face. I see a lot of patients who have lost volume in their face due to living a very active, high impact lifestyle (such as runners). Fillers help to restore the volume loss that naturally begins to occur when we reach our late thirties, and in turn gives a fresher, brighter appearance. There are no known risk to those who are pregnant or breastfeeding – but we would advise against having treatment under these circumstances. What results does the treatment aim to provide? The results should be subtle, leaving our friends and family believing that we are simply looking our best and great for our years. Treatment lasts between 18-24 months but, naturally, towards the end of this period the effects begin to gradually soften, so there is no dramatic change. When the effects begin to soften, we aim to ‘top up’ the treatment. Patients will often come in to the clinic and point to a specific line that they don’t like. Good practitioners shouldn’t just look at treating this specific line, but will look beyond it to how the face looks as a whole, since treating an individual line could make the patient look unnatural. Sometimes the patient will say that people tell them they look sad, tired or grumpy when this isn’t really the case. In these instances, it’s usually not a single line that is causing this impression but multiple factors and the practitioner should discuss treatment options with the patient. It is really key that you feel safe and reassured by your chosen practitioner: a partnership should develop where you can speak freely about what concerns you, as this will allow the practitioner to truly understand your hopes and desired outcomes. To find a reputable clinic near you, visit this-is-me.com. Click on ‘Match me’ and answer some simple questions about what you’re looking to get out of the treatment for a practitioner recommendation.